Paperback – Eitan’s new Book Coauthored by Jenni Grimmett DVM. The desire to meld the best of Western riding traditions with classical dressage in the pursuit of a harmonious relationship with a horse has steadily gained traction over the past two decades, and now the movement flourishes. More and more horse people are discovering the incredible rewards of training a well–balanced mount, using a soft feel, and developing communication based on kindness and cooperation. 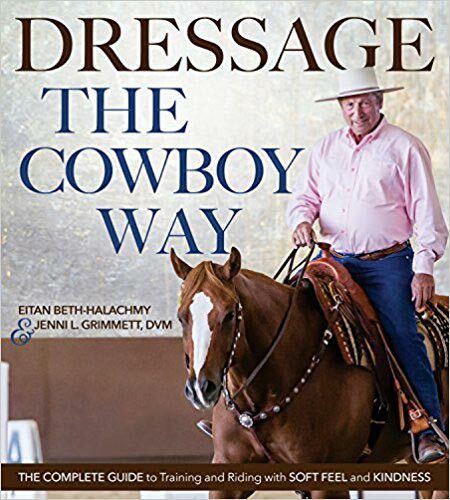 In this remarkable book, the founder of Cowboy Dressage® Eitan Beth–Halachmy explains the development of the Western dressage horse using his methods. 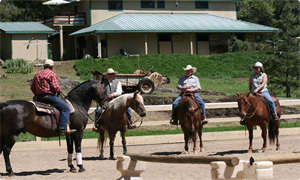 Beginning with the basics of body language, use of the aids, and a discussion of the Training Pyramid, Beth–Halachmy then provides guidelines for foundational groundwork and progressive dressage schooling under saddle, such as developing cadence and consistency in the gaits, understanding and requesting correct bend, choosing and using lateral maneuvers, and advancing self–carriage and collection. 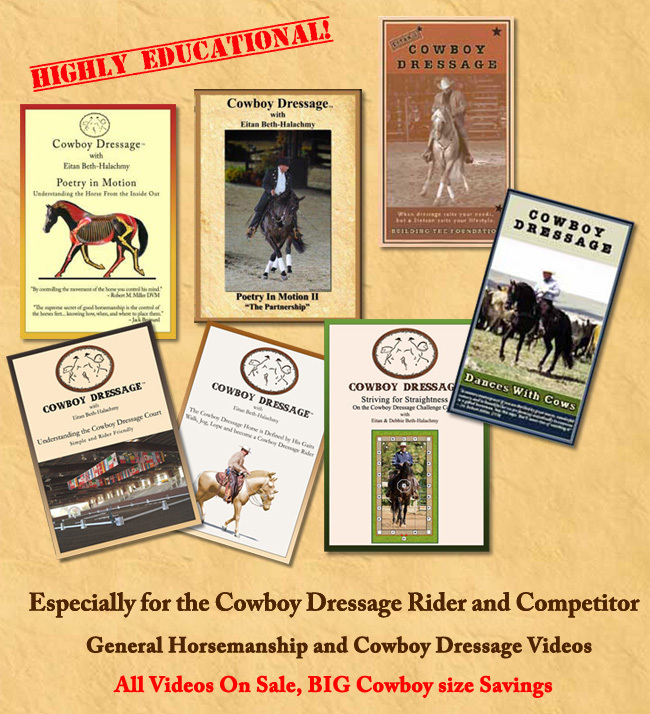 Additional sections highlight the distinct benefits of the geometry of the Cowboy Dressage Court, the intrigue of training with the garrocha (a long pole or lance), and the great pleasure of riding musical freestyles. This fantastic guide is both valuable resource and inspirational touchstone, promising that in the end, horse and rider enjoy each other's company. A nice excerpt on the book, click here to read. Click Here to read on Horsenetwork. 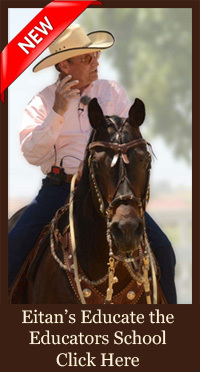 Another nice excerpt on Eitan's book: Click Here to read on Horse and Rider Books. 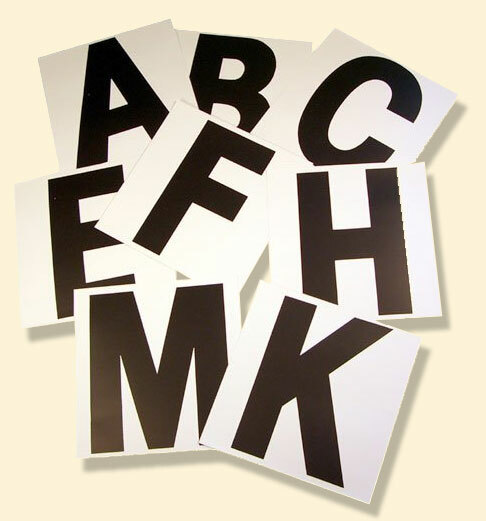 Due to the high cost of shipping an additional shipping fee is required outside the US. However, Shipping Savings for Australia and UK/Europe. 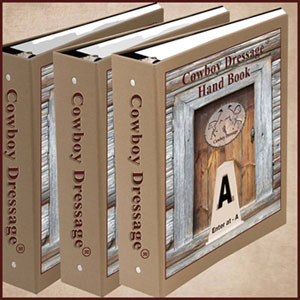 If you wish to order from an Australian Distributor please contact this link: https://www.horsebooks.com.au/product/0/110693/dressage-the-cowboy-way-9781570768576/ . This is great to have distributors in these two locations. Will save a lot of shipping for many. The equestrian pursuit known as Cowboy Dressage was borne of a desire to meld the best of Western riding traditions and classical dressage in the pursuit of a harmonious relationship with a horse. Intended to be accessible to all, Cowboy Dressage is open to all breeds and all levels of riders; there isn’t a set frame for overall look, head carriage, or action. The singular goal is to consider the horse’s potential at all times as one strives to achieve a subtle and relaxed flow of information between horse and rider. 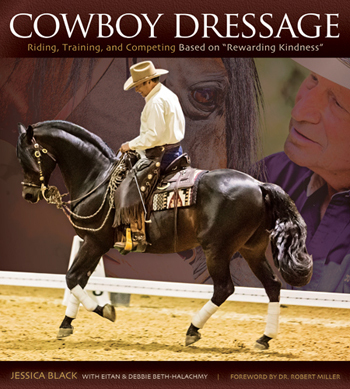 In this superbly written book, lifelong horsewoman Jessica Black traces the evolution of Cowboy Dressage back to its roots, sharing the story of Eitan and Debbie Beth-Halachmy and their phenomenal Morgan horses that have served as the movement’s ambassadors. 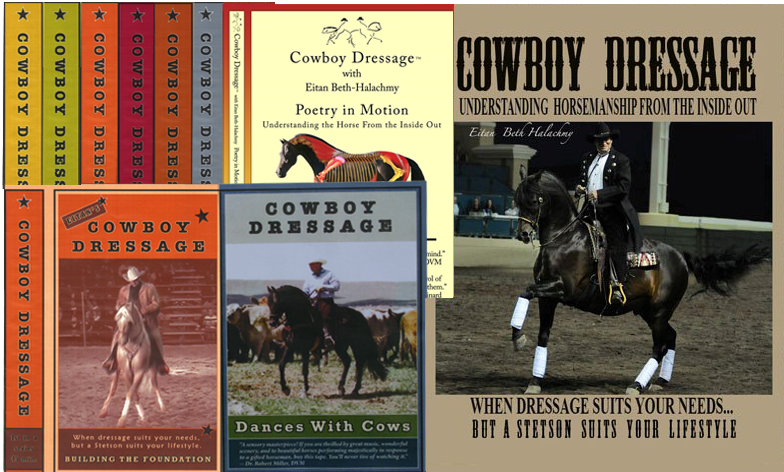 She then provides an engaging and articulate explanation of the philosophy of Cowboy Dressage; expectations of the rider; what a participant needs in terms of equipment; and how the most important element—the horse—should be prepared. A wonderful and thorough section on groundwork, as well as specific training advice for achieving engagement, regulating the gaits, smoothing transitions, and balancing bend and straightness, get the reader started with a solid foundation. 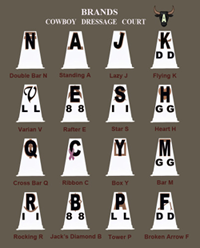 Then, specific descriptions of the Cowboy Dressage tests and “court”—the training area designated for practicing the tests—are provided, with additional tools for those interested in competition, including rules, divisions, and how to execute and judge tests. 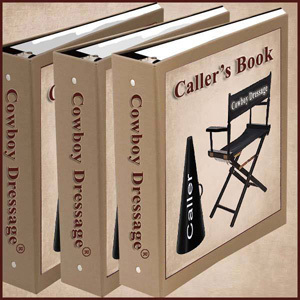 Striding the line between utterly engaging story and well-organized how-to manual, Cowboy Dressage gives readers everything they need to find a “soft feel” with their horses and then share what they’ve developed with a community of like-minded horsepeople. As the founders of the movement say in the book, Cowboy Dressage is more about a way of life than a rulebook. And with that as its premise, one can see how it can show the way to true partnership with a horse. $29.95 plus shipping and handling. Allow 3 weeks for shipping. "Poetry in Motion Understanding the Horse From the Inside Out"
Poetry In Motion II "The Partnership"
Click Here for information and to purchase these Videos. Copyright 1998 - 2019 Cowboy Dressage®. All Rights Reserved.